The IEEE International Conference on Smart Grid Synchronized Measurements and Analytics 2019 (IEEE SGSMA 2019) will be held at College Station, Texas on M ay 21-23, 2019. T his conference provides a leading forum for disseminating the latest research in Synchronized Measurements and Analytics. 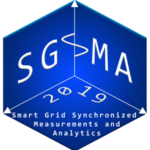 IEEE SGSMA brings together leading researchers and developers from academia, research and industry from all over the world to facilitate innovation, knowledge transfer and technical progress in addressing synchronized measurements and analytics to advance smart grids. The theme of the conference will be focused particularly on synchronized sampling and synchrophasors. The conference will attract scientific and applied research findings in Smart Grid Synchronized Measurements and Analytics. The attendees will get the opportunity to present their findings, learn about the recent research results from others, and be able to network with some of the leading luminaries, academics, researchers and practitioners in this area.